On a trip to visit my sister, we went through Badlands National Park in South Dakota. 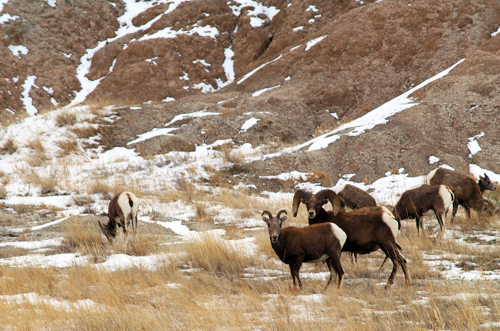 This group of Bighorn sheep was grazing in the valley below. They did not seem afraid of people, but the ram did not relax and graze until we drove away.